Payoneer is one of the most popular money transfer platforms which lets you transfer money with ease. 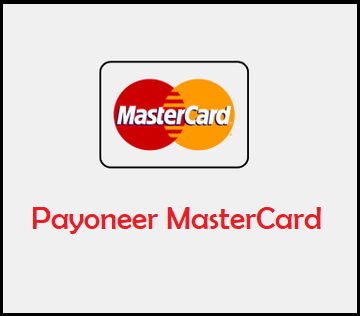 Payoneer also offers MasterCard which you can use to pay online and withdraw your money from local ATM. Payoneer was founded back in 2005, and it is a financial service business that provides the facilities to send and receive money all over the globe (about in 200 countries) and in 150 different currencies. Payoneer also Offers a Free Payoneer MasterCard which you can use anywhere in the world. So, I am going to share how to get a free Payoneer MasterCard with $25 Bonus. It is special referral Program by which our readers can get $25 bonus for free. 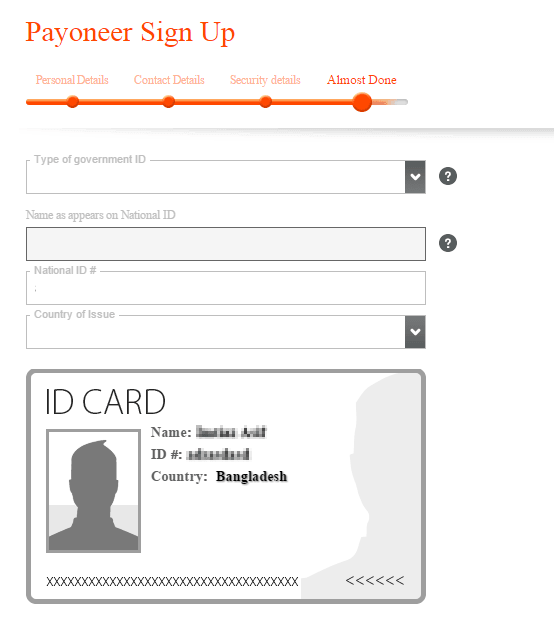 Payoneer Card has a lot of uses, I would love to describe some of them. You can get a Virtual Bank Account in the US and can receive global payments directly in Payoneer. You can use Payoneer to buy Hosting, Domains and SSL Certificates from almost all sites. 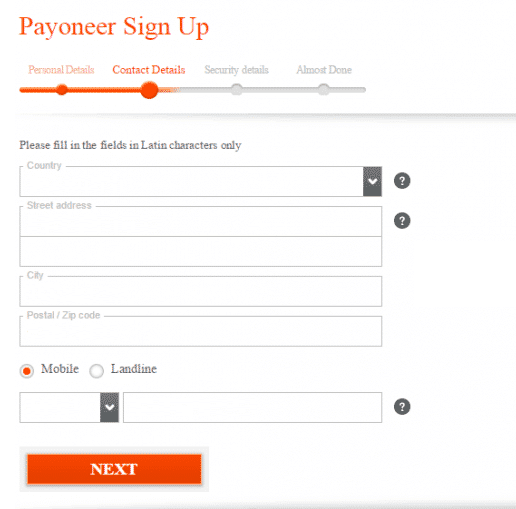 You can Apply for Payoneer without having a bank and can use MasterCard to withdraw your payments. You can book hotels online by using Payoneer Card. You can get paid through affiliate sites. You can receive payments from freelancer sites like Fiverr, Freelancer, UpWork etc. You can use Payoneer to send and receive payments to your clients and workers. You can use Payoneer to receive Payments of AdSense if your AdSense is from UK or USA etc. 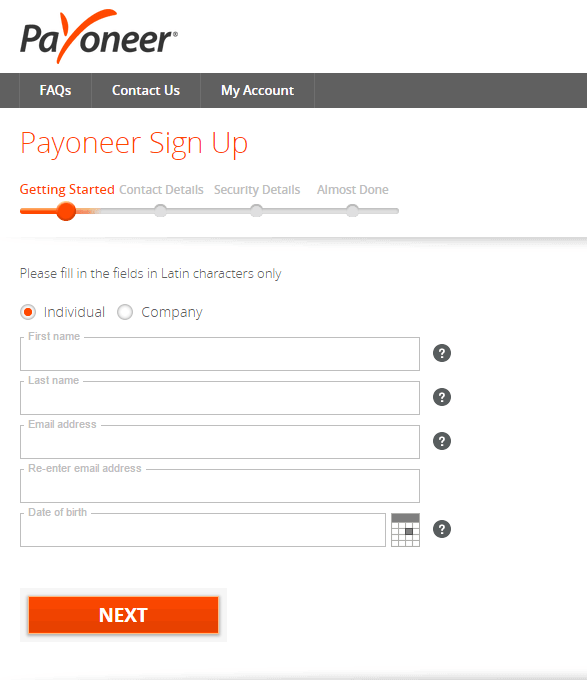 Signing up for Payoneer is very easy and quick process. You just need to signup using my referral link (if you want $25 bonus) and have to wait for the MasterCard to reach to your door step. Step 1. 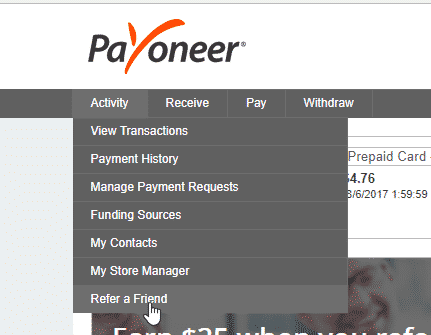 First of all, Go to Payoneer Sign Up Page using my Payoneer Referal link and click on Sign up and Earn $25 button. Step 2. A signup form will appear, here you need to enter your Name and Date of birth according to your Passport/National ID/Driving License and your sweet email address. After that click on NEXT button. Step 3. In next page you need to enter your Country, Address, City and Postal Code/ZIP Code but be careful about it because your MasterCard will be sent to this address. And finally, enter your phone number. Once you are done, click NEXT button. Step 4. In the Security page you have to enter your password and a security question, it is recommended to choose a very personal security question and click the Next button. Step 5. Finally, choose the type of your ID from Passport/National ID/Driving License and then enter ID # and country of issue etc. If you have an alternate shipping address then also add that address. Accept all the terms and conditions and click the ORDER button. Step 6. 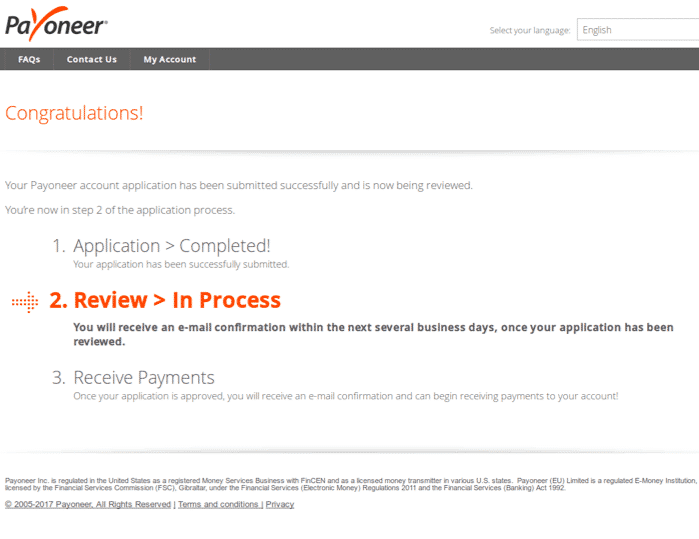 The Payoneer team will review your Payoneer Card Application and will send you approval email in a few hours. Activating your Payoneer card is easy, once you have received your card you need to login to your Payoneer account using your email and password which you had used while sign up. Once you are logged in click on the Activate button. After that, you will be asked to enter your Card Number, you can simply find a sixteen digits card number on your card and can enter in the required field. Once you are done with card number you will be asked to choose a 4 digits PIN. The PIN will be used in ATM so it’s recommended to note down this on some place. Finally, accept all the terms & service and policies by ticking on them and click on the Activate button. It’s fine that you have activated your card but you will not receive $25 bonus instantly and you will see $0.00 balance. 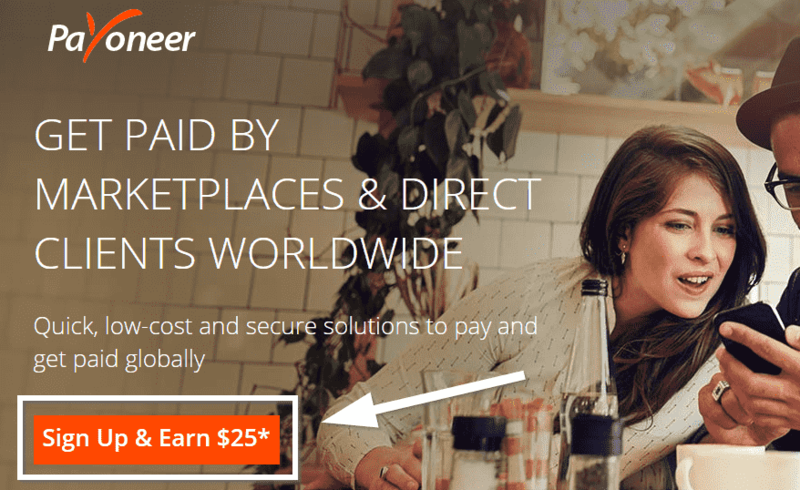 To get your $25 bonus you have to receive $100 from any Payoneer verified company. 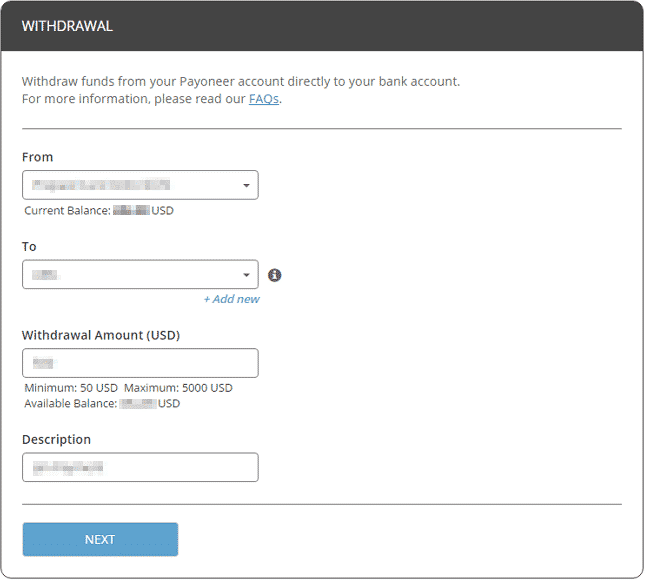 Unfortunately, you cannot add fund directly to your Payoneer account by your bank or any other card etc. To add funds to your Payoneer MasterCard you can get payments from any of the Payoneer supported companies. It doesn’t depend that either you are a Blogger, Freelancer or Affiliate Marketer you can choose Payoneer as a payment method in all the major companies. The list of most famous companies supported by Payoneer is listed below. For Freelancers: UpWork, 99Designs, Fiverr, Welocalize, Freelance, Elance, Guru et cetera. For Affiliate Marketers: Amazon, Shareasale, CJ, Clickbank, Envato etc. For Advertising Networks: Infolinks, RevenueHits, AdSense (UK, USA) etc. The only thing that I love most about Payoneer is US Payment service. For using this service you don’t need to do anything, and you will get a virtual bank in US even if you are not a resident of USA. One thing which I loved the most is that is that AdSense of USA and UK can be connected with Payoneer using US Payment Service. Since Payoneer is the best so it is expending very fast. So, they offer an refer to friend program using that program you can refer your friends to Payoneer. When any of your referral sign up using your referral link you and he/she gets a bonus of $25 once they receive a total of $100 from any Payoneer verified companies and the win-win deal is that you will also get $25 bonus. To use Payoneer Affiliate simply login to your Payoneer account using your username and password. On the top left corner hover your mouse over Activity and then select Refer a friend link. 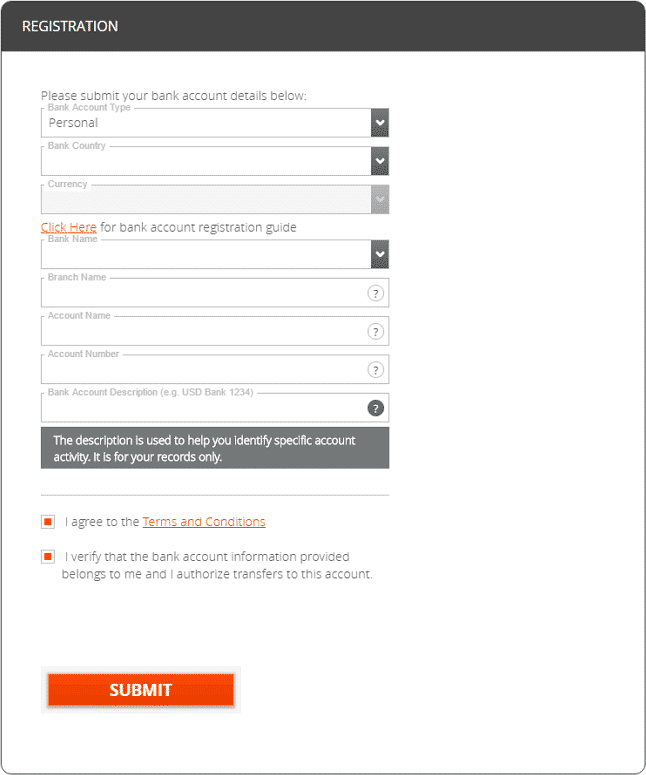 You can simply withdraw your Payoneer funds to your Local bank account. 1. 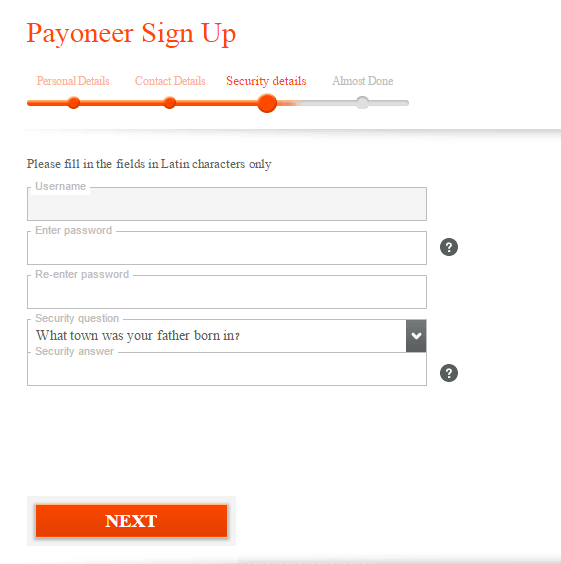 First of all, login to your Payoneer account using your username and password. 2. Hover your mouse over Withdraw and then click on To Bank Account. 3. Now you have to add our bank details. Just click on Add New button. 4. For the security of your Payoneer, you need to enter your Card number, CVV, Date of Birth and Password. 5. 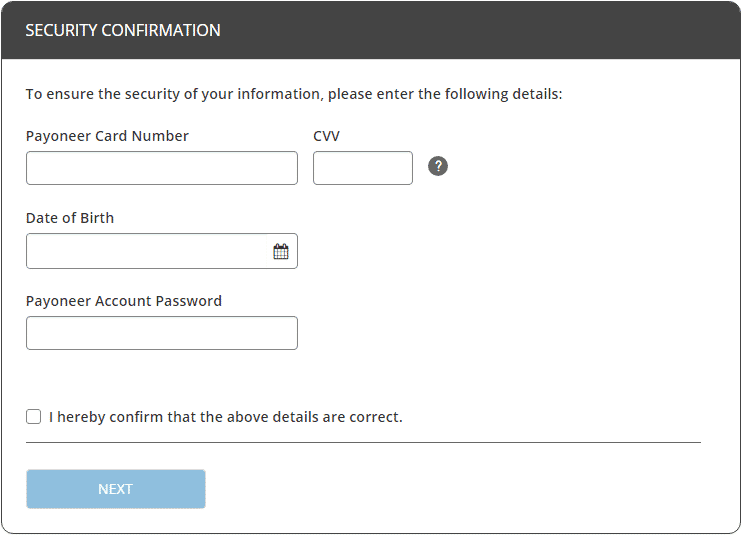 The next step is to add your Bank details, fill the appropriate fields with correct information and recheck everything. Finally, accept the privacy and terms of service and click on Submit button. 6. After a few minutes you will receive a confirmation message to your email account. Now you bank account has been approved. 7. Once you are done with adding your bank account. Hover your mouse over Withdraw and then click on To Bank Account. The other withdraw method is to use local ATM of your city. Before you proceed you need to make sure that the ATM you are going to use supports MasterCard and you can confirm it by looking for MasterCard logo outside or inside the ATM. Simply, enter your MasterCard in the ATM and then enter your PIN and choose your withdraw amount and that’s it. This was a simple guide for signing up for Payoneer MasterCard and I hope you get your one. If you need help or have questions about Payoneer Card you can ask using comment area.